The Ghost of Jesse James is in Selma, Alabama – Believe it, or NOT! Celebrity attachment to an American outlaw is good for business. Since his assassination, countless newspapers and businesses have capitalized on the icon of Jesse Woodson James. Like most advertising and promotion, though, what passes as fact is more often than not lies, distortions, or simply fraud. Today’s event of lies and fraudulent branding comes from Kelly Kazek, in an article Kazek wrote on al.com, a website for three Alabama newspapers. 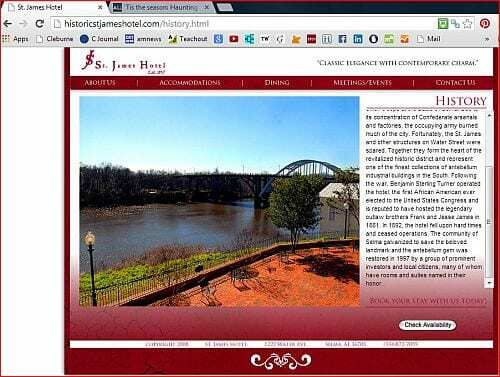 Writing about “Haunting Tales from Ghost Town Tours,” Kazek featured the St. James Hotel in Selma, Alabama. 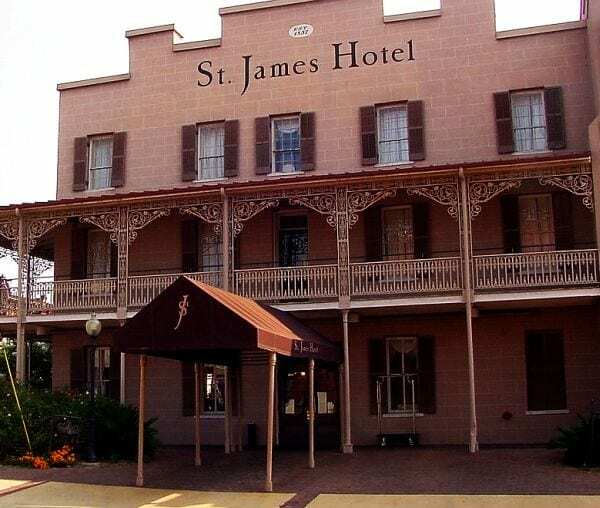 The journalist wrote, “In 1881, Frank and Jesse James and members of their gang took a vacation from robbing and killing and vacationed at The Brantly, according to the hotel website.” The Brantly today is Selma’s historic St. James Hotel. If true, this would be welcome new history to the Jesse James genre, on many levels. What exactly was the relationship of Turner to the notorious outlaws? To what purpose were Frank and Jesse associating with an elected member of the United States Congress? We know nothing about Benjamin Sterling Turner that links him to Frank and Jesse James. But we do know where Frank and Jesse were in 1881. The story offered by Kazek and the St. James Hotel don’t add up. Wishing to confront the St. James Hotel with the known and recognized factual record, we emailed Kelly Kazek, asking how long her story would stay on the internet. Her tart email response was, “As long as there is an internet.” Really? Kazek also asked what claims we believed were false. She didn’t wait for our response, however, before our email response was blocked as spam. Fine enough, Kazek can be notified of our reply below or via Facebook. Straying from historical fact is expected among journalists with no claim to history. 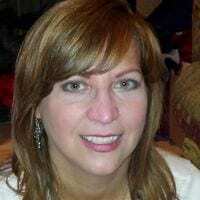 But Kelley Kazek is the author of The Hidden History of Auburn (AL.) and several other history books. You expect factual reporting from such an author. Then again, Kelly Kazek disappeared on us as quickly as her ghost of Jesse James. Jesse James reported the hotel reeked of Southern pretension – Believe it, or not! The ancestry which Donald James Baumel inherited from America’s iconic outlaw Jesse James and Kentucky’s iconic explorer Daniel Boone determined how Don lived and died. Central to his life was what Don valued most – his privacy. Don Baumel died on April 27, 2011. Family members delayed announcement of his death, considering whether to announce it at all. If Don had his way, he would have probably preferred to slip away into history totally unnoticed, with no recognition either of his life or of his death by anyone. 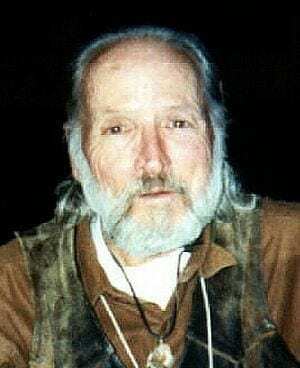 Don was last seen among his family at the James Gang & Family Reunion, held in Paso Robles, California in 2002. Months of coaxing by Judge James Randall Ross, Don’s first cousin, finally got Don to show up. Among 200 family and friends attending the reunion, Don went virtually unnoticed among them as he circulated freely through all the events. No one had seen Don in years. He talked with few people. At a break in the events, Judge Ross and I went to lunch with Don. He ordered a sandwich, but picked at it sparingly. We then went shopping for a western outfit, so Don could be dressed western style like the rest of us. But in every store, Don resisted. Nothing was purchased. That night at the banquet, however, Don appeared in a western outfit that had more worn authenticity than anyone else in the dining room. He looked like he just had stepped out of the California West when Frank and Jesse last visited Paso Robles. The clothes were Don’s own. Touring historic sites the next afternoon, Don rode with me, my niece Kathryn Craft, and Steve Leonard of the James Preservation Trust. For once, Don was not silent at all. We showered him in questions. Don not only responded generously, he gave us an exclusive insight into his life, which no one ever had heard before. Don was born a twin. His twin sister Diane survives him. In high school in Los Angeles, Don and Diane both were considered “joiners.” If a group existed, they joined. Years later in 2007, I met Barbara Clemens from their high school class. Barbara confirmed the fact. Diane and Don were elected by their classmates, together with three others, as “Ephebians,” the top graduation honor awarded to those who demonstrated the highest grade averages, and who were the most socially and politically active. Don was Vice-President of the student body. About this time, Don learned he was a direct descendant of the notorious outlaw Jesse James. Like most others among the James family who stumbled upon the family secret, Don was advised not to advertise the fact, but not to deny it either, if questioned. Don chose to avoid the question altogether. When he joined the U. S. Army, Don’s life began to change. He was assigned to a security group, and stationed at a radio squadron in Mobile, Alabama. Don learned tools of the secrecy trade. Exiting the Army, Don enrolled at UCLA in California. He no longer was the socially and politically active student that he once was in high school. Don had changed. Most of his life, Don lived in San Francisco. Like a couple of his less recognized cousins, Rev. William Henry James who maintained a mission for the poor and homeless of Kansas City, and Luther Tillman James who founded the Kansas City Provident Association to financially support programs for the poor and homeless, Don developed an affinity for the disenfranchised of San Francisco. Among the faceless of Market Street, Don found he could live and work as he pleased, both comfortably and anonymously. Money meant little, if nothing, to Don. Anything he had, he was happy to share or give away. Like Rev. William Henry James, like his ancestral Mimms cousins, and like his third great grand Uncle Drury Woodson James, Don lived in a hotel. A heart attack took the life of Donald James Baumel, as it did his cousin Jim Ross in March of 2007, and also Jim’s mother Jo Frances James in March of 1964. Mary Huey Alvarez contributed this photo of her grandfather Isaac Abraham Huey, whom Mary describes as a bit of a rounder. While his children married descendants of the James family , Isaac himself is related to the James through his grandfather and namesake, Isaac Fields. 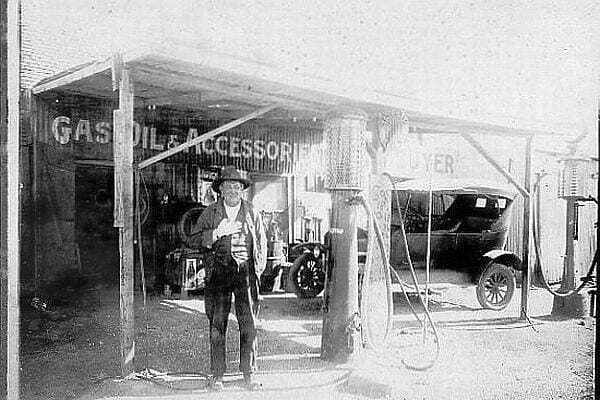 Earlier in his youth, Isaac was a cowboy, driving cattle from Santa Ana, Texas to Fort Worth. He was born in Hueytown in Jefferson County, Alabama, and died in Stephensville, Erath County, Texas, where most of his descendants still live today.